Are you in transition between careers, middle-aged or retired with time on your hands? Are you a more seasoned volunteer who yearns to travel and has the desire to contribute your unique skills to communities in need? Join Global Service Corps (GSC) in Cambodia and enjoy experiencing another country and culture all while giving back and positively impacting the local communities you will serve. At GSC we especially recognize and value your extensive knowledge, maturity, and skills. Our service-learning volunteer programs in Cambodia are designed to meet your interests and utilize your individual talents. 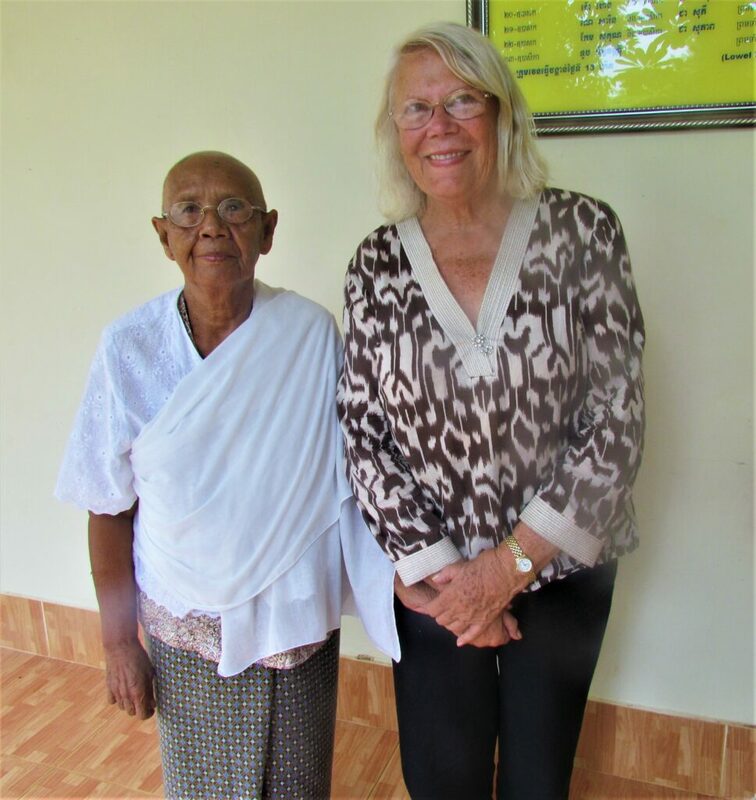 We have had many active, older volunteers participate in our service-learning programs in Cambodia and they have loved their experiences. Check out our Cambodia Program Options page to explore our different programs. Interested in group travel? We offer a group discount! You can learn more about program rates, group discounts, and start dates by clicking here. “It’s almost 6:30 p.m. and I just had my last supper with the Global Service Corps In-Country Coordinator and a new volunteer from New York, Marcos. We talked about photography and our experiences in life, and before dinner I spoke about my experiences here in Cambodia. I had an extraordinary time. It is the most exotic place I have ever been so far in all of my travels. I was lucky to be in a country with such friendly, warm people. 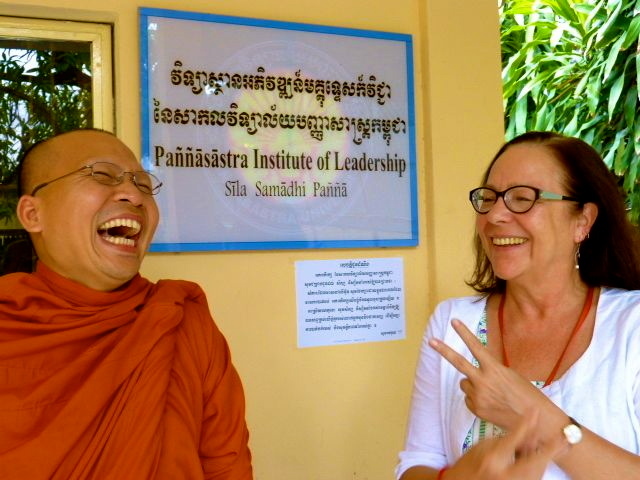 In my time serving on the program, I have had the lovely experience of having a monk knock on my door to greet me and help me understand Buddhism, and the lives of Monks as well. I have spoken to seven different monks and one of them twice. They are gracious, kind, friendly, and make me feel welcome. They are also attentive to my questions and answer to the best of their English abilities. I am in admiration of their dedication to the discipline and learning. The school where I teach English is simply a joy. The teenagers are lively, funny, some noisy and some shy, but all with a desire to learn English. They come to the school after they have attended a public school, so for that much schooling, I’m impressed with their tenacity to learn. I admire the tenacity of the Cambodian people and how adaptable they are, and positive. Cambodia has experienced wars and turmoil all the way up to just a few decades ago, and they are in the rebuilding process, both with infrastructure and with themselves. I honestly believe, since the population is 95% Buddhist believers, this is what keeps them moving forward; by taking a day at a time to rebuild. They have my utmost respect. What a people.